At KPMG, we offer two unique bursary opportunities for students studying towards becoming SAICA accredited Chartered Accountants, or CAs(SA). Our Pure Merit Bursary is awarded based solely on your academic results, while our Merit Bursary with Financial Needs is awarded based on both your academic results and your financial position. Do you need extensive funding for your studies? If not, apply for the Pure Merit Bursary. Would you be unable to attend university without significant financial support? If yes, apply for the Merit Bursary with Financial Needs. Our Bursaries take the ever-changing needs of our students into account to make sure that the funded students, have what they need to complete their studies successfully. 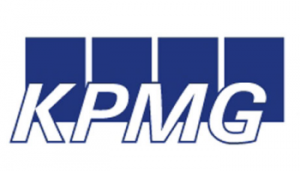 We also consider the skills needed in the professional services market place and KPMG’s internal skills needs. The bursary is awarded on condition that the student maintains his or her academic achievements throughout the period of study.